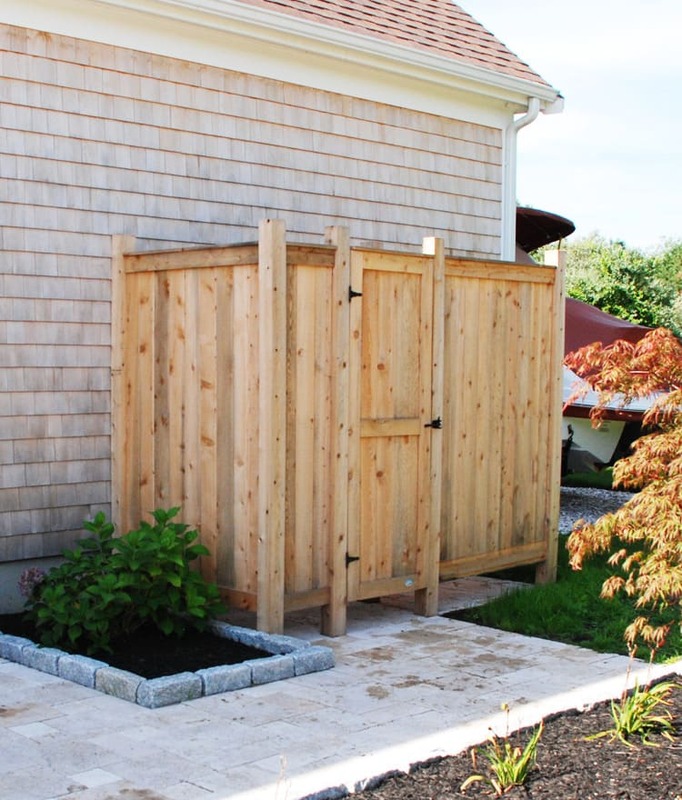 On Cape Cod, it’s pretty standard to see an outdoor shower kit in the backyard or on the side of every house in the neighborhood. Because going to the beach all day is the norm, jumping into your outdoor shower afterwards is the perfect way to wash all the salt and sand away. Here, it’s easy to find a contractor that will build a custom shower for your house because they have been doing it for so long, but what if you’re not on the Cape? This is where Cape Cod Shower Kits come in. We’ve built outdoor shower enclosures based on our experiences and our users’ input. 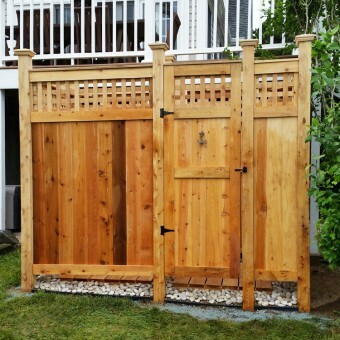 Over the years, we have incorporated many ideas and suggestions in our outdoor shower kit and continue to modify and change our design to meet the needs of our customers. We refer to our outdoor showers are “smart showers,” with a modular design that lends the flexibility to cater to various designs. 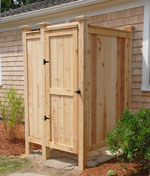 With multiple models and styles, our outdoor showers present a wide array of options for any home or development. 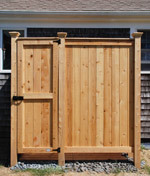 We can even help you customize an outdoor shower kit to meet your backyard needs. What kind of kits do we offer? Our Standard model is our most popular model. This model lends well to backyards with limited space and is available both as a three-sided house-mount, or four-sided freestanding model. The Deluxe model is also available as a house-mount or freestanding model, but offers more space with an additional area to be used as a changing room. Our newest shower kit is the ‘83 XL. And while this kit is only available as a house-mount option, this will give you the most space for your showering and changing needs. We also offer a lower profile ‘83 model to keep you closer to the house. All our shower kits include the necessary hardware needed to build your kit, so the only thing you need is a few tools to assemble your shower yourself. 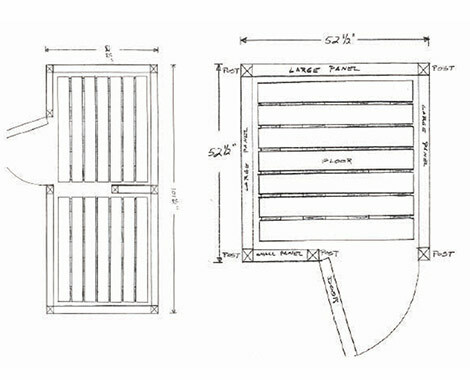 Our kits are also available with multiple custom options, such as extra posts for the house-mount models, or lattice panels. Add a bench, floor or post caps to add extra style and convenience. And don’t forget that we can customize your kit to meet your needs! 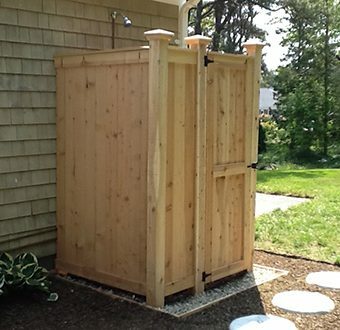 Whatever model you decide, Cape Cod Shower Kits are the easiest option to bring a little piece of Cape Cod to your backyard no matter where you live.